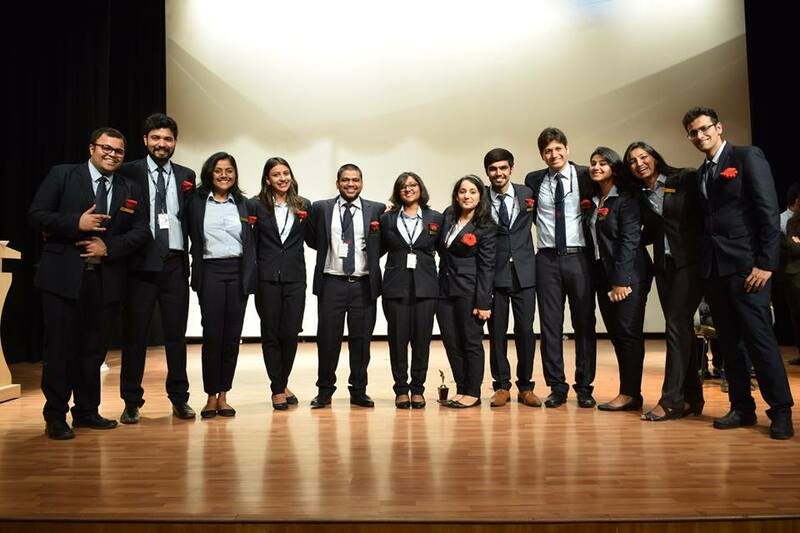 Symbiosis Institute of Business Management (SIBM) Bengaluru has had phenomenal growth in the past ten years of its establishment and brand SIBM Bengaluru has become synonymous with progress. The students of the institute have paved the way for its success and the 9th Annual Management Day held on 24th March 2018, celebrated the achievements of the students of the graduating batch 2016-18 with grandeur. The Annual Management Day not only celebrated the outgoing batch 2016-18 but also the Alumni. The Young Alumni Achiever Award went to Nikhil Malhotra of the 2011-13 batch for corporate excellence. He urged the students to challenge the status quo and break the boundaries. “Either you could be part of the framework or make your own framework.”, said Nikhil. Not just in the corporate world, the alumni have also excelled in the field of entrepreneurship as well. To celebrate this, the Young Alumni Achiever’s Award for Excellence in Entrepreneurship went to Mr Anand Bhate, the founder of Jeevan Anand Builders. The outgoing students, the faculty and the staff members were all appreciated by the Deputy Director, Prof. A. Vidyasagar for all the laurels that they had brought to the institute during their academic stint at SIBM, Bengaluru. He emphasized the importance of having commitment and passion towards work. The highlight of the event was the award ceremony in which students were felicitated for excellence in both the academic and the non-academic arenas. This was followed by the felicitation and oath-taking of the new Student Leadership Council. The ceremony was symbolic of the transition that the institute will go through, with the senior Student Council for the term 2017-18 passing on the baton to the newly appointed Student Council for the term 2018-19.